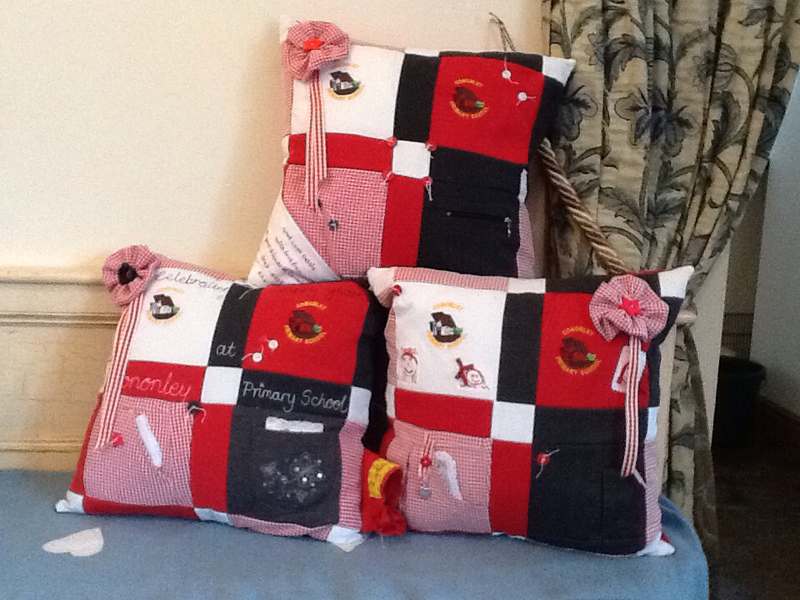 Three school memory cushions all ready to be delivered today. They are all slightly different and have been made using the recipients bits of uniform. There are pictures and messages in the pockets and name tags sewn on the back. What a lovely reminder of their time spent at primary school. Fantastic idea - love it!